Frinkiac—the searchable database of Simpsons images and GIFs created by Paul Kehrer, Sean Schulte, and Allie Young—is one of the delights of the internet, an at-your-finger repository of every “Glavin,” “Ha-Ha,” and “My son is also named Bort” a conversation might demand. (The team also created Morbotron, its non-union, Futurama equivalent.) 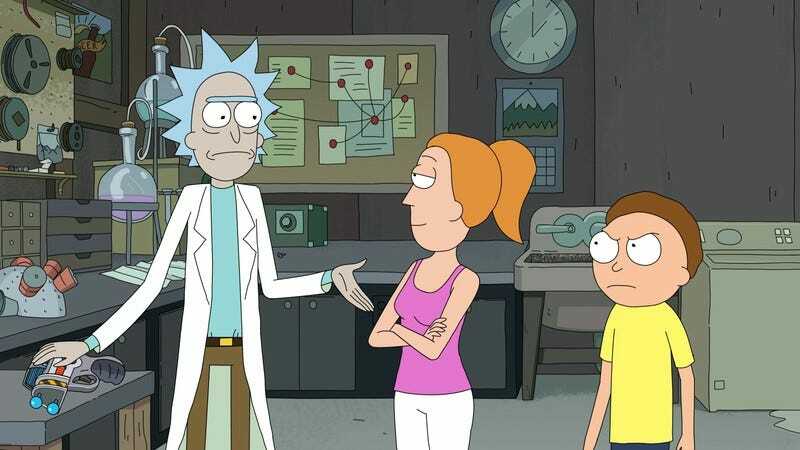 Now, Rick And Morty—no stranger to smashing its way into the world of Springfield—is getting in on the screen-capped fun, thanks to Master Of All Science, the trio’s latest project. Basically, it works exactly like Frinkiac: enter in any phrase, and you’ll get a bunch of images referencing it, pulled from every episode the show’s ever done. (It’s current through last week’s “Rickmancing The Stone”). Voila: Never again will a conversation have to continue on the internet without participants being able to to inject getting schwifty, Mr. Meeseeks, or that old stand-by, Ants In My Eyes Johnson, into the mix.